Not many things in this world last forever, but a J. Dilla beat is one of them. Ever since his tragic passing in 2006, his soulful legacy has been carried on through a number of posthumous albums, tributes, and covers. One album that has always stood out to me was 2008’s Yancey Boys, a collection of previously unearthed Dilla beats excavated by Dilla’s little brother, John Yancey, otherwise known as Illa J. Ever since then, I’ve been curious as to what the guy’s been up to. 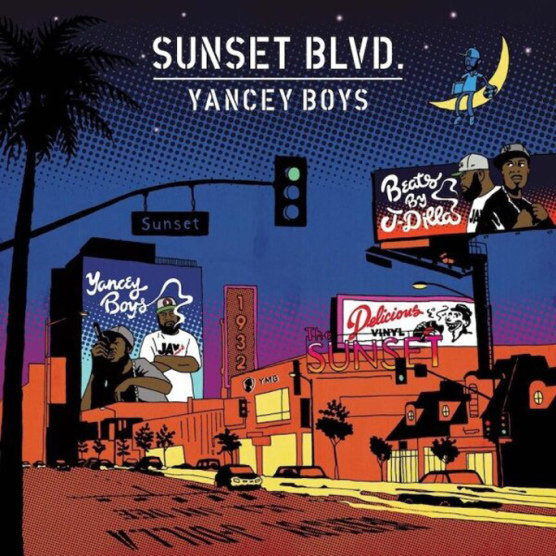 Enter Sunset Blvd and the Yancey Boys collective. Illa J and Frank Nitt, J Dilla’s long time friend and music catalog curator, have teamed up to form the Yancey Boys. Their latest record, Sunset Blvd will contain even more previously unreleased beats from Dilla’s extensive, and seemingly infinite vault. The album will include guest appearances from long-time Dilla collaborators such as Common, Posdnuous of De La Soul, and Slimkid3 from The Pharcyde. It will also include cameos from The Beat Junkies, Guilty Simpson, and R&B singer, Eric Roberson. After listening to the soothing, guitar-laced “Quicksand,” I have high expectations for this Illa J effort. Dilla-heads, don’t sleep on this one. Sunset Blvd will be out Oct 29 on the legendary Delicious Vinyl Records. Pre-order now on iTunes.